The Saul Ewing Arnstein & Lehr inter-disciplinary team of professionals who handle EB-5 financings are experienced in corporate and securities, immigration, commercial real estate, finance, international and tax matters. Our lawyers advise businesses (including real estate developers and other project companies, regional centers and foreign and domestic EB-5 agents and consultants) who are seeking EB-5 financing from foreign investors, as well as representing foreign investors who are interested in obtaining permanent residence in the United States through making an EB-5 investment. Our attorneys have represented clients in structuring and negotiating private securities offerings for more than 300 projects, in which offerings have amounted in excess of $8 billion. Our team has extensive experience in providing comprehensive guidance from the initial planning phase of an EB-5 project to final funding, in order to comply with Securities and Exchange Commission (SEC) regulations and United States Citizenship and Immigration Services (USCIS) guidelines. This includes counseling our clients on the complex rules governing the promotion of EB-5 projects to potential foreign investors. Our practice also includes representing foreign investors with the detailed EB-5 process and providing pre-immigration tax planning for such investors and their families. We have particular experience analyzing and focusing an investor’s “source of funds” and work closely with the investor’s foreign advisors to assist with this analysis. Our attorneys are fluent in multiple languages including: Mandarin, Spanish, Portuguese, Hebrew, German, French, Italian, Arabic, Russian, Hindi, Urdu, Punjabi and Gujurati. 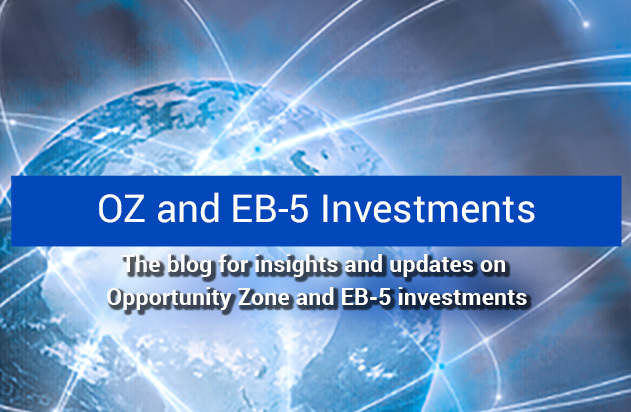 Our attorneys also contribute to our EB-5 Immigrant Investor blog for immigrant investors creating new U.S. commercial enterprises that serves as a resource on EB-5 news of note and includes additional information on Saul Ewing Arnstein & Lehr’s many activities associated with the EB-5 program. Pre-immigration tax planning for foreign investors, including trust and estate planning.